The old ‚dinner and a movie‘ has turned into dining and a movie. 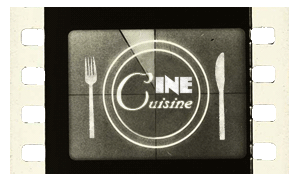 With a dash of style, a jiggle of quality and a splash of sophistication, CineCuisine offers not just film and food, but the perfect night out for movie and cuisine aficionados. For a complete night of entertainment, enjoy a three-course dinner at the elegant gourmet restaurant NYMPENBURGER HOF before or after the movie. The restaurant is located at Nymphenburger Str. 24 (diagonally opposite of the CINEMA). Read here an article about NYMPHENBURGER HOF from the Süddeutsche Zeitung. Reservations for this exclusive CineCuisine deal can be made only at: gourmet Restaurant NYMPHENBURGER HOF, Tel. 089-1233830. Your restaurant and theater reservations will then be arranged for by the restaurant.